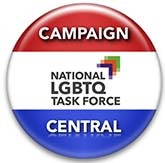 Your go-to place for a range of campaigns on a range of issues that you might want to support. The Task Force supports the Marguerite Casey Foundation’s Equal Voice for America’s Families campaign, which addresses the challenges facing poor and low-income families and the policy changes needed to improve the economic well-being of those families. If you’re not already registered to vote, do it right now!